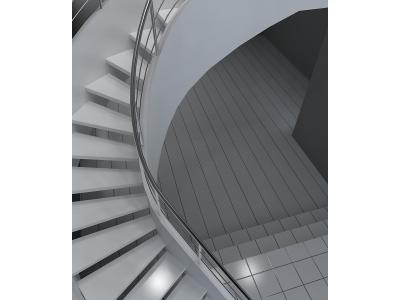 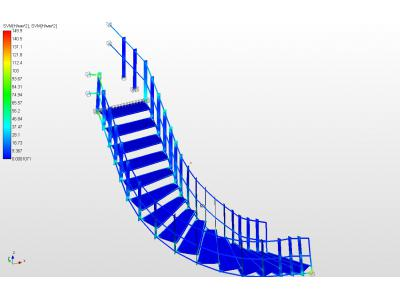 In March 2012 the specialists of STC "APM" was held a screening strength calculation of bearing capacity of the spiral staircase in a private house. 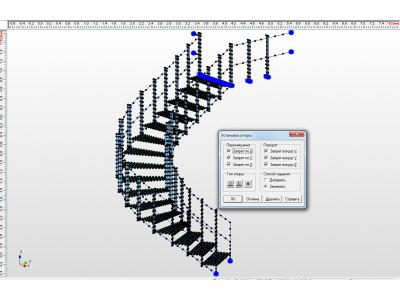 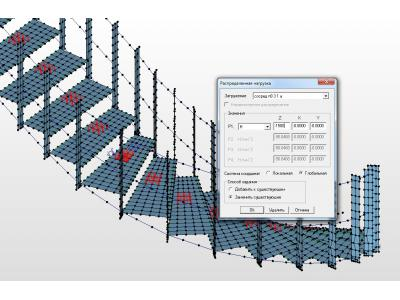 The calculation was performed using the software «CAD / CAE system of automated calculation and design of structures for industrial and civil construction APM Civil Engineering 2010". 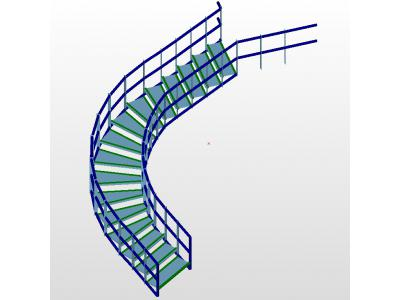 The design of ladder is a metal frame of the stringers (circular tube) connected rakes, which are fastened step (square tube), stringers sheathed gypsum boards, steps tread made of oak boards. 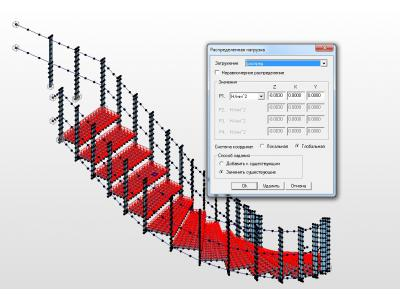 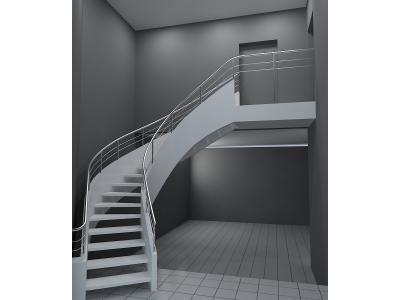 The geometry of the design scheme was obtained by importing the spatial model of KOMPAS-3D. 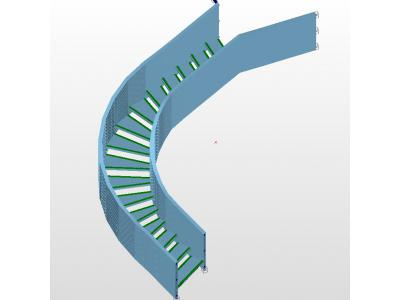 - rigid fixation of the last stage of the pipe on the second floor slab level. 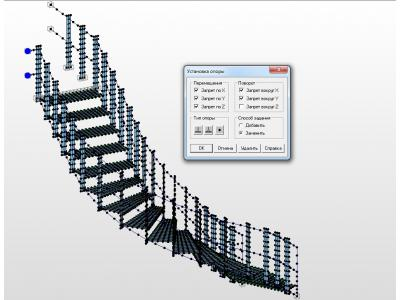 When all specified in the specifications for individual loads loadings were created their linear combinations, in which each uploading entered with the corresponding coefficient. 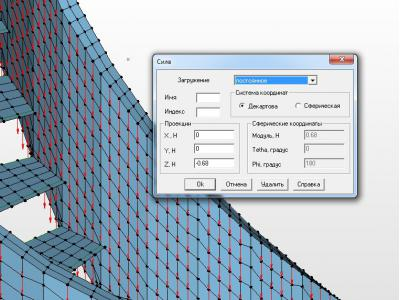 static analysis results showed that the design does not meet the strength, and therefore it is necessary modification. 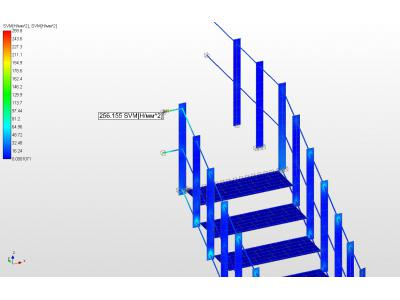 In the initial design model has been amended to support conditions stringers at the outer radius of the second floor slab level. 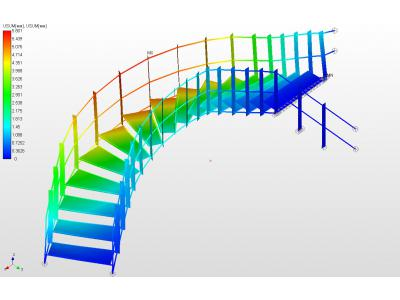 recalculating the results showed that the modified design fulfills the conditions of strength and is workable.